5 Gastronomy serves the best fries in all of Orlando! After perfectly frying them, they are tossed in fantastic herb-spiced oil! They are out of this world! They also create some pretty rockin' mac-n-cheese and 48 hour braised pork tacos! All are must haves! Visit them at www.5gastronomy.com for their current menus and locations. The Batter Bowl offers several decadent and creative desserts. Everything I've tried has been completely delightful! 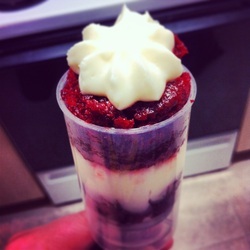 One of their most popular items is the Red Velvet Push Pop. Just like one of the frozen treats from your childhood ice cream truck, but this one is filled with moist red velvet cake layered with cream cheese icing. Absolute genius! They also create a to-die-for peanut butter mouse covered in chocolate ganache and crushed peanuts. Without a doubt, one of my favorite dessert trucks! 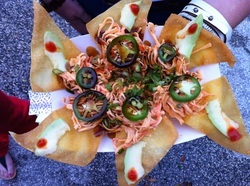 Visit them at www.thebatterbowltruck.com for their current menus and locations. 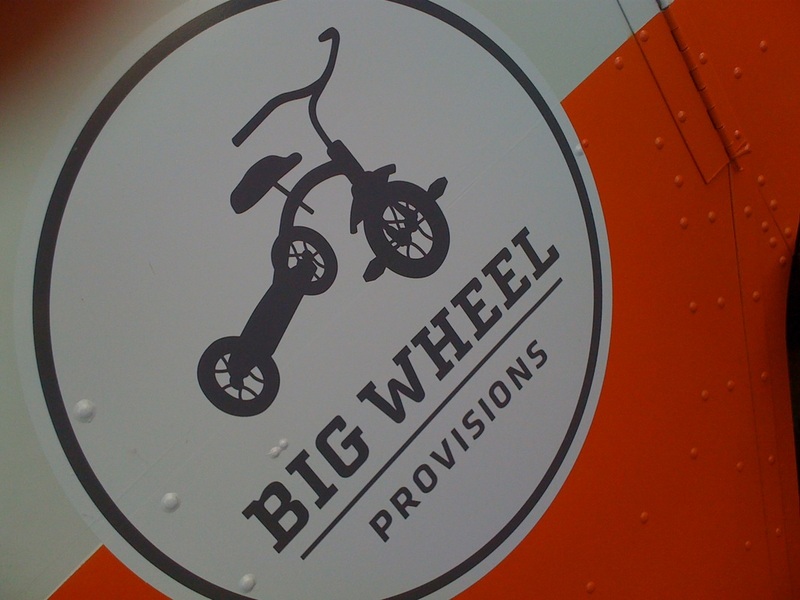 Big Wheel is my absolute favorite food truck in Orlando! They are always on the cutting edge, cooking up anything from their Soft-Shelled Crab BLT (which is completely amazing) to their Carbonara Lasagna! 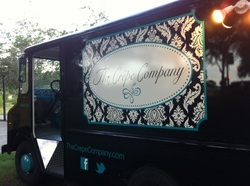 Most everything that comes from this truck will send your taste buds soaring!! Visit them at www.bigwheeltruckmenu.com for their current menus and locations. No matter what you get from these guys, make sure it includes their wonderful brisket covered in their BBQ sauce. They take their time to ensure it is moist, tender and full of flavor. My favorite is called the Tex-Mex. 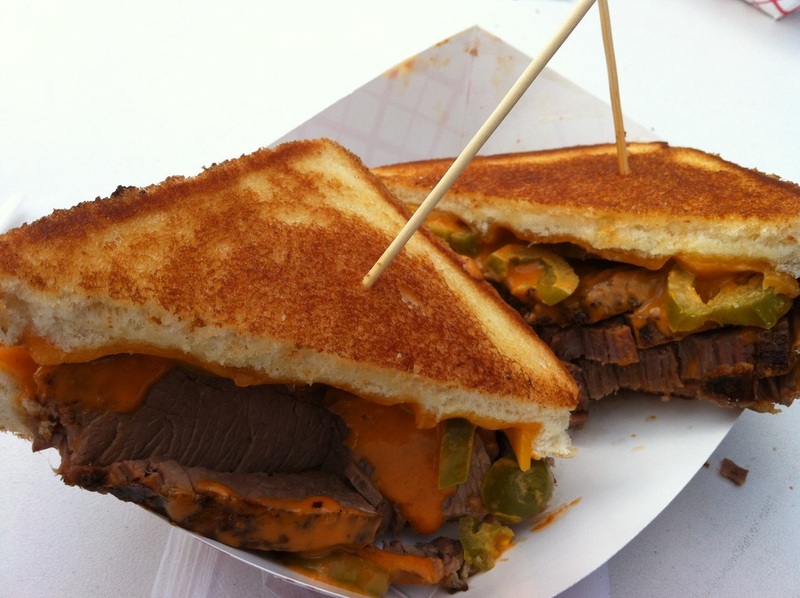 It starts with their delectable smoked brisket covered in their special sauce, jalapenos and cheddar cheese all on top of buttery Texas toast. Definitely some of the best brisket in Orlando! Visit them at www.brisketbus.com for their current menus and locations. Caro-Bama knocks it out of the park! Their BBQ is tender and flavorful but what puts them in a league of their own is their variety of magnificent sauces. My favorites are their Bama White Sauce (creamy BBQ sauce with a hint of tang created in North Alabama) and their Carolina Vinegar Sauce (classic vinegar based sauce born in the Carolinas) all on top of their mouthwatering pulled pork sandwich. Make sure to grab a fork - you're gonna need it!! Visit them at http://caro-bamabbq.com for their current menus and locations. Cafe Rouge is known for their Fish and Chips, for good reason. The Orlando Sentinel put them on the map stating that these were the best fish and chips in town. After experiencing them, I must agree! The fish was seasoned like none other I've ever tasted and the chips were crispy on the outside and fluffy on the inside! Definitely a winner!! 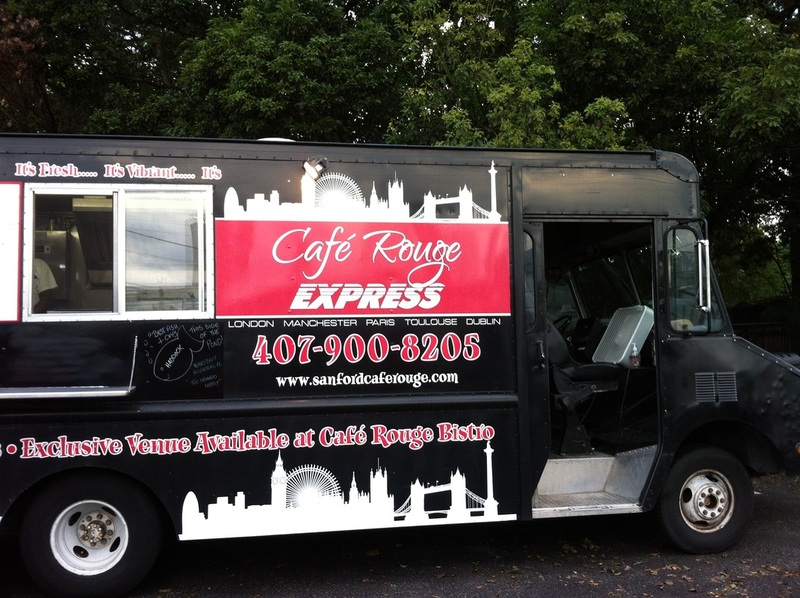 Visit them at www.sanfordcaferouge.com for their current menus and locations. Island BBQ offers many items such as smoked chicken, pulled pork, grilled shrimp and snapper. They also offer a variety of sauces ranging from American style BBQ to curry based sauces. All of which accompany their smoked creations wonderfully. 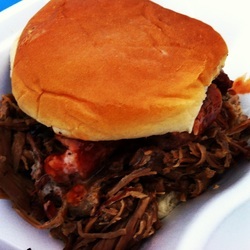 My ideal pairing is their succulent pulled pork with their spicy BBQ sauce - Heavenly! They also offer many yummy apps. One standout is their Jamaican patties stuffed with curried chicken or beef! Visit them at www.ckjerkshack.com for their current menus and locations. The Crepe Company has a crepe for every occasion - savory entrée crepes that are perfect for any meal and sweet crepes which are the perfect end to any meal. They offer such options as their Monte Cristo Crepe containing honey ham, smoked turkey, cheddar cheese, lettuce and raspberry preserves and also their Sunrise breakfast crepe containing eggs, ham, hash browns and cheddar cheese – a remarkable way start to any day! My fave is their S'mores dessert crepe filled with Nutella, marshmallows, graham crackers, and chocolate sauce!! So incredibly yummy!! Visit them at www.thecrepecompany.com for their current menus and locations. 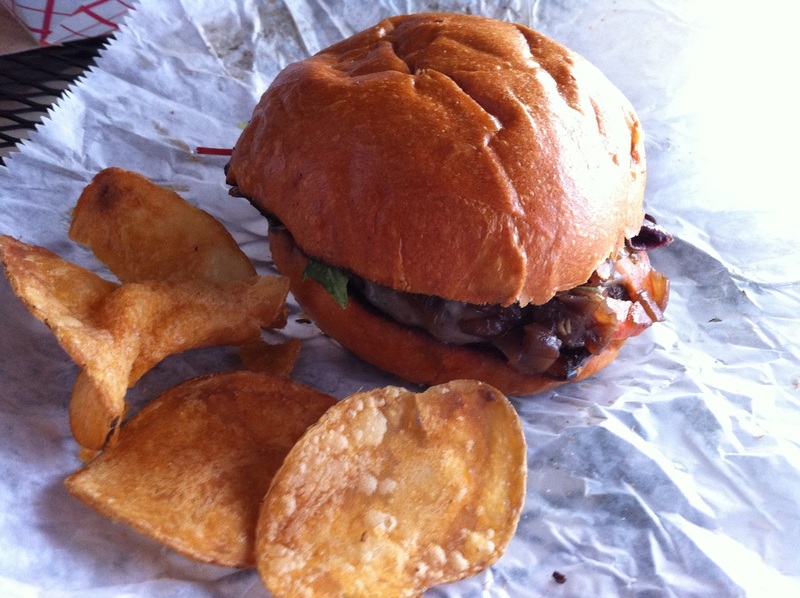 They create some of the tastiest burgers offered in Orlando. The one that tops my list is their self-proclaimed Crooked Spoon Burger. It is an incredibly seasoned Angus burger topped with Swiss cheese, caramelized onions and a ridiculously awesome chipotle sauce! All on top of a toasted brioche bun! I crave this burger on a daily basis. Another popular burger they create is called the 420 burger. It also starts with an Angus beef burger but then adds pineapple relish, candied bacon, Swiss cheese, and honey whole grain mustard also on a brioche bun! Amazing!! They serve a very tasty mac-n-cheese too! 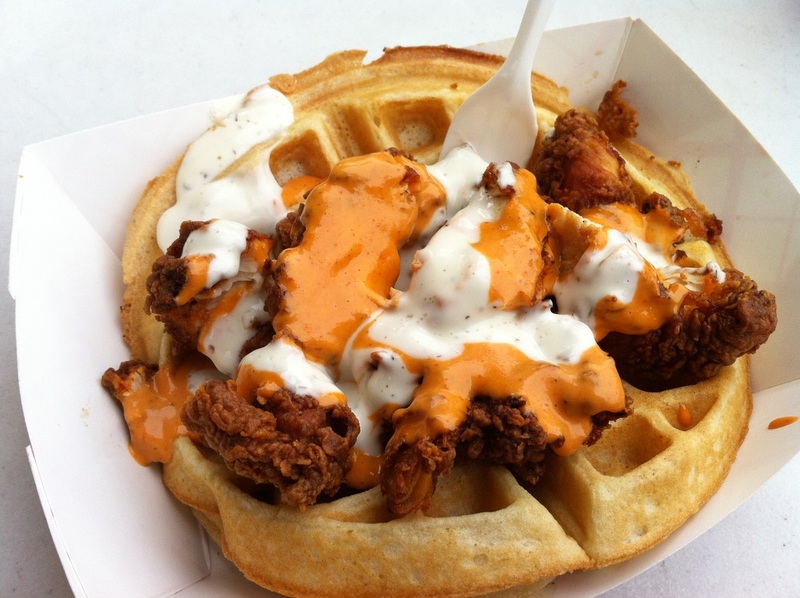 The Dixieland Diner food truck specializes in Southern cuisine. My first visit was appropriately on Fat Tuesday and I was definitely in the mood for some Cajun cookin'! Their menu consisted of shrimp and to-die-for grits, perfectly fried boudin balls, fantastic jambalaya, and their fabulous beignets! I simply could not decide which item I was craving more, so I ordered one of everything! I may be a little bias considering I'm from Louisiana but I can assure you, all of their dishes are completely amazing! A definite must! 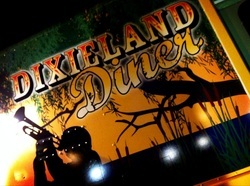 Visit them at www.dixielanddiner.com for their current menus and locations. Sushi from a truck?! Yes! And it's awesome! My fave is their ! Some of the best sushi I've ever had! They also have knock out apps - Spicy krab nachos and Stuffed Mushrooms - White mushrooms stuffed with goat cheese and spicy tuna and then tempura fried! Ummm...Yes please!! The Flattery offers some marvelous and creative flatbreads. Their dough is always wonderfully crisp and chewy. My favorite is called the Smack My Swine! 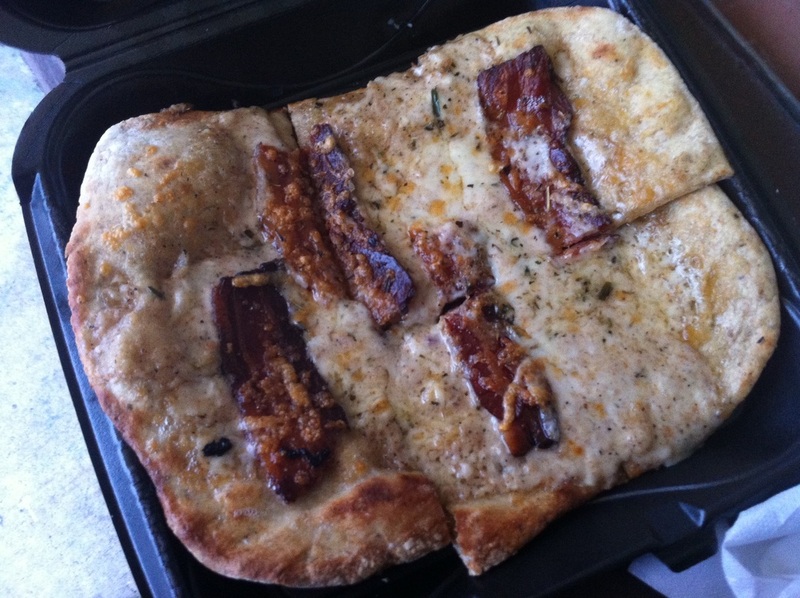 It starts with a tasty white sauce and fontina cheese, and then adds sweet-n-spicy bacon, prosciutto, caramelized onions, and parmesan cheese! Can it get any better?! Oh, and we can't forget the sauces - so good!! Visit them at www.theflattery.com for their current menus and locations. It’s all about mixin’ and matchin’ at Kona Dog! You start by selecting your dog, whether it be an all-beef hot dog, a spicy sausage dog or a soy veggie dog. Then you select all your favorite sauces and mustards! Anything from spicy jalapeno to mango or pineapple. 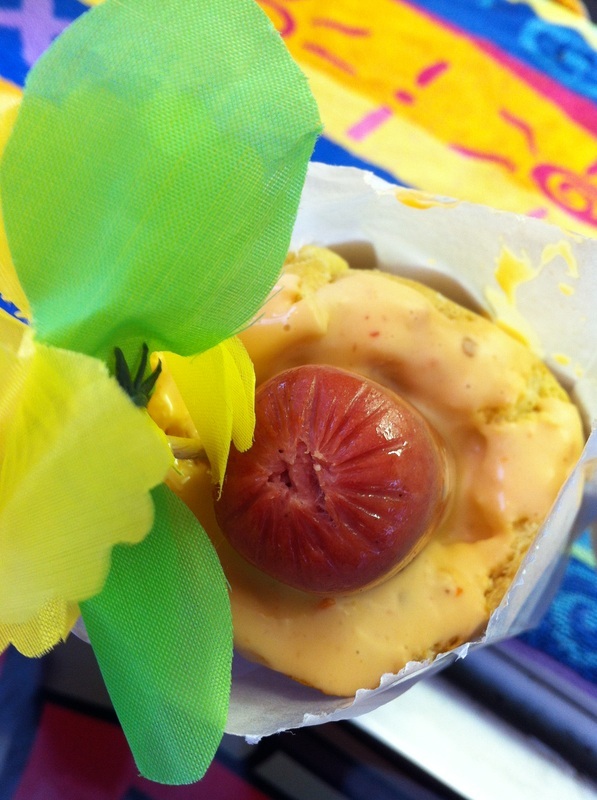 I love their sweet Hawaiian bread stuffed with a regular Sabrett hot dog and Kona Dog’s own hot sauce! Salty, sweet and spicy all in one dog! Yumm!! Visit them at http://gokonadog.com for their current menus and locations. 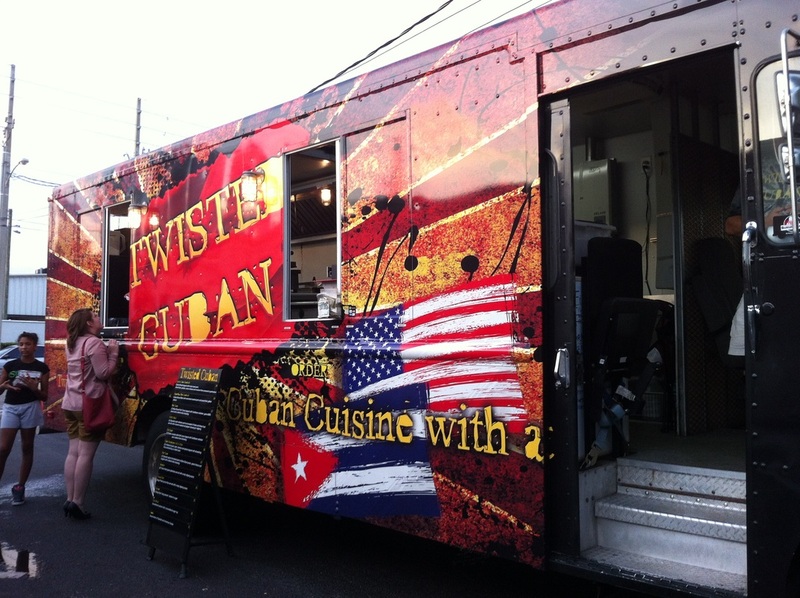 One of Orlando's original food trucks offering options everyone will love. They offer Bulgogi beef, spicy pork and marinated chicken which can be accompanied by rice, put into a sub or even a taco. 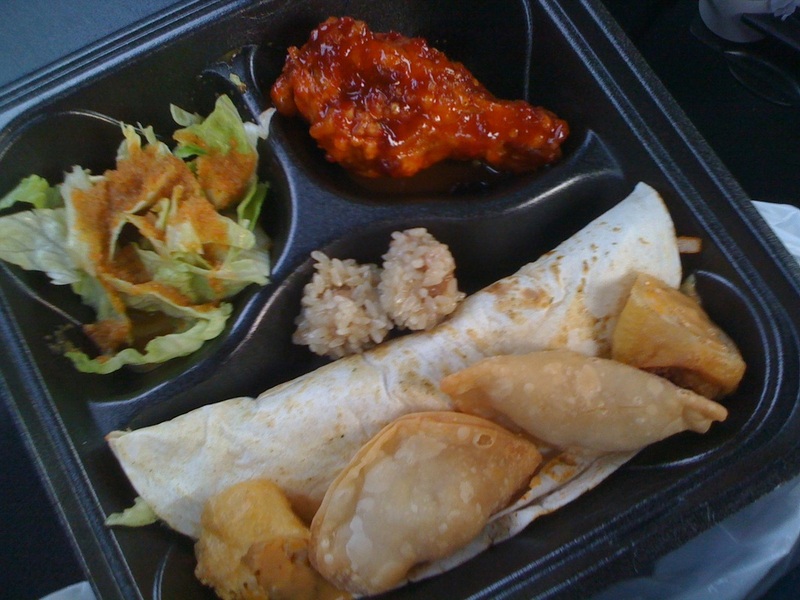 If you order a box meal you get a salad with their house made ginger dressing and some incredible Korean sides! A must is the fried cheese rolls and the spicy chicken wings covered in their signature sauce! Visit them at www.kbbqbox.com for their current menus and locations. I have come to realize empanadas are one of my favorite foods. And this truck offers some of my most beloved ones. 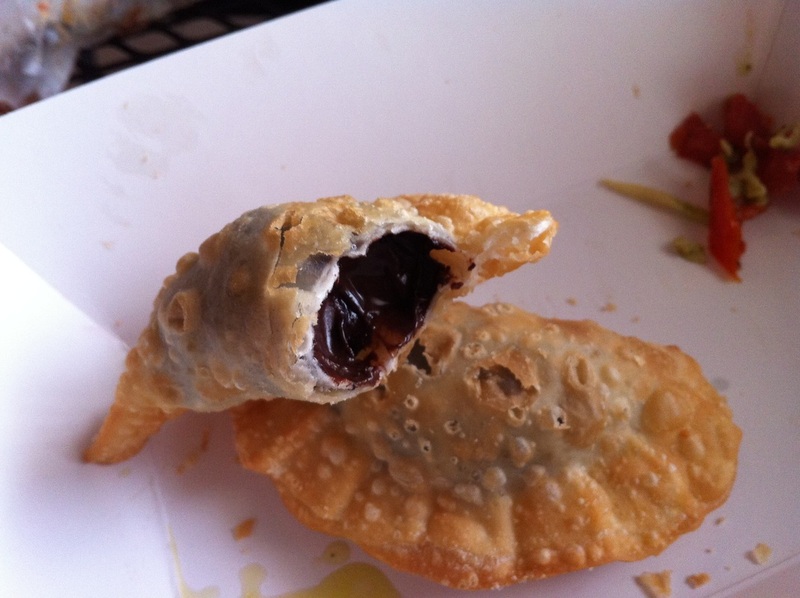 Their chicken pesto empanada is amazing and the dark chocolate and sea salt one is an excellent end to any meal! They are perfectly crisp and provide amazing flavors! Visit them at www.laempanadatruck.com for their current menus and locations. Local Yolk'l serves fresh and delicious breakfast items all day because who doesn't love breakfast for dinner?! My go-to faves are The Dabber and the Red Velvet Pancakes. The Dabber is a yummy breakfast burrito stuffed with eggs, chorizo, cheese, potatoes, and enchilada sauce. Perfect any time of day! And need I say more about the Red Velvet Pancakes...covered in cream cheese icing? Didn't think so. Enjoy! Visit them at www.localyolkl.com for their current menus and locations. The Mangia Mobile serves some of the finest Italian dishes in Orlando! Two of my favorites are their fried raviolis and stuffed rice balls, both served with a side of their authentic marinara sauce. The raviolis were filled with ricotta cheese, ideal for dipping. The rice balls were stuffed with a combination of cheeses, creating the perfect contrast with the crispy batter. Both are completely addicting and delicious! A can't miss truck!! 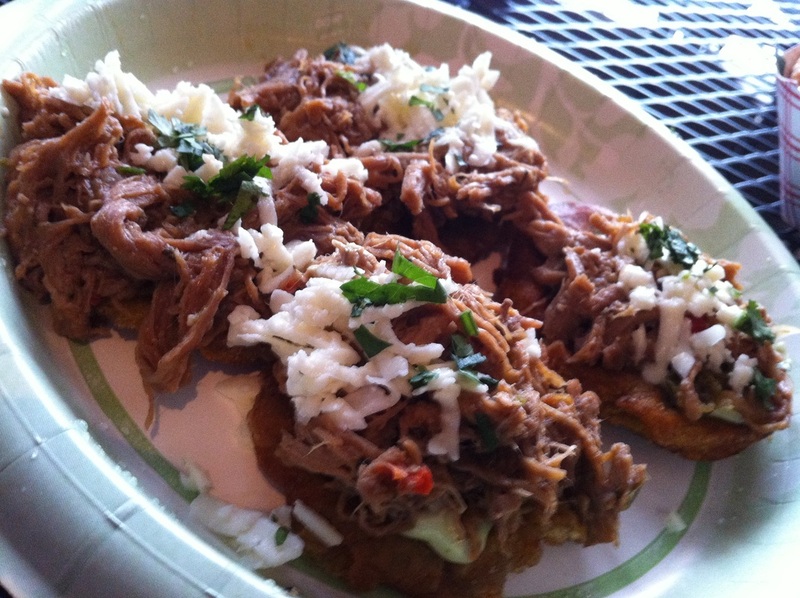 The Mayan Grill food truck offers authentic Central American cuisine. 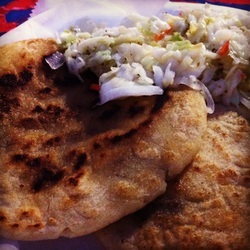 They are best known for their pupusas, whether in the traditional form or topped with marinated steak, pork or chicken. The traditional pupusa is a corn tortilla filled with beans, cheese and chicken or pork. I ordered one of each and was stuffed after finishing just one. Oh and don't forget their tasty hot sauces!! Visit them at www.mayangrillorlando.com for their current menus and locations. Home of the Waffle Sandwich! Melissa offers so many different options - The signature Buttermilk Fried Chicken and Waffle with country gravy or syrup, The Breakfast Waffle with bacon, egg, and cheddar cheese, or The S'mores Waffle with marshmallow fluff, Nutella, graham cracker crumbs, whipped cream and powdered sugar. My favorite is their buttermilk fried chicken topped with buffalo sauce and creamy ranch dressing all on top of a perfectly cooked waffle! Spicy, sweet and oh so yummy! Monsta Lobsta creates many extraordinary items - anything from lobster rolls to blue crab quesadillas. My first experience with lobster rolls actually came from this lovely establishment! It was buttery and fresh and absolutely perfect! They also offer clam chowder, lobster bisque, and blue crab rolls. 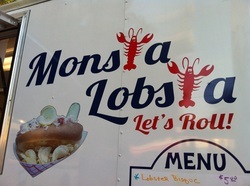 Visit them at www.monstalobsta.net for their current menus and locations. 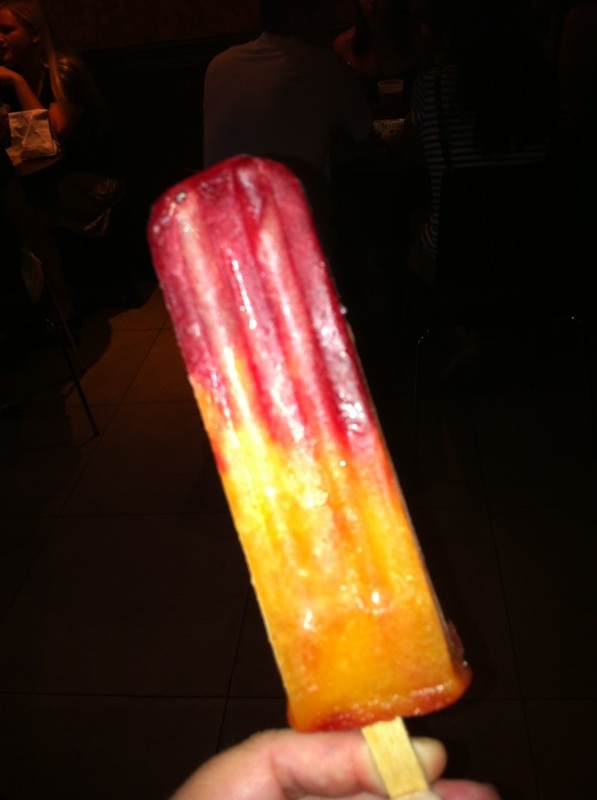 Peak Season Pops offers seasonal, gourmet ice pops which are completely delightful on a humid Florida evening. All are made in small batches using only peak season ingredients. They offer a huge variety of flavors and flavor combinations. The Peach Raspberry Swirl pop was remarkable! A wonderful balance of tart and sweetness. Other standout flavors include the Strawberry Basil and the Mango Tango! Yumm! Visit them at www.peakseasonpops.com for their current menus and locations. Pop Craft creates gourmet handcrafted popsicles. They offer a very wide variety of flavors, including non-dairy alternatives. My favorite is the Strawberry Lemon which is made to taste like Strawberry Lemonade. Since one is never enough, I’m also partial to the Tangerine Dream. 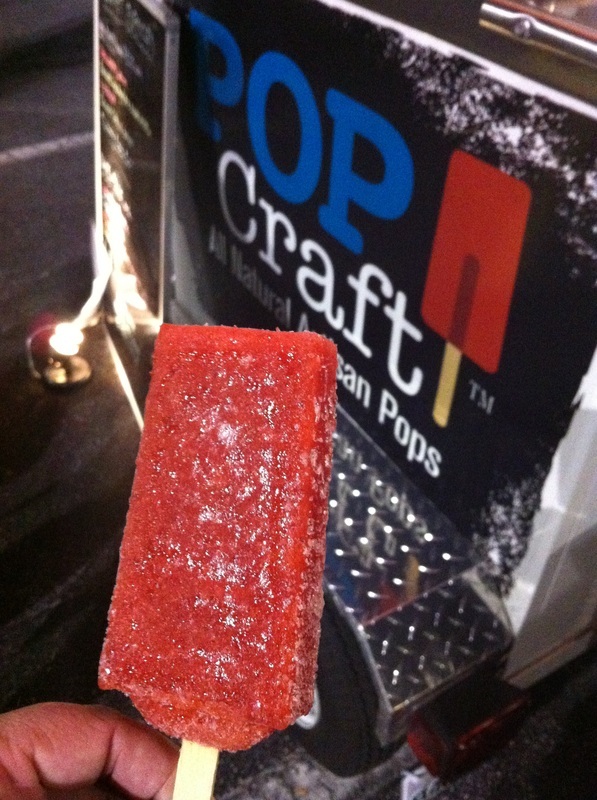 Pop Craft also offers Mexican paletas or what some call Mexican fruit bars. These are unique since they are sweetened with very ripe fresh fruits instead of sugar and corn syrup. So many options, all so delicious! Visit them at www.popcraftpops.com for their current menus and locations. 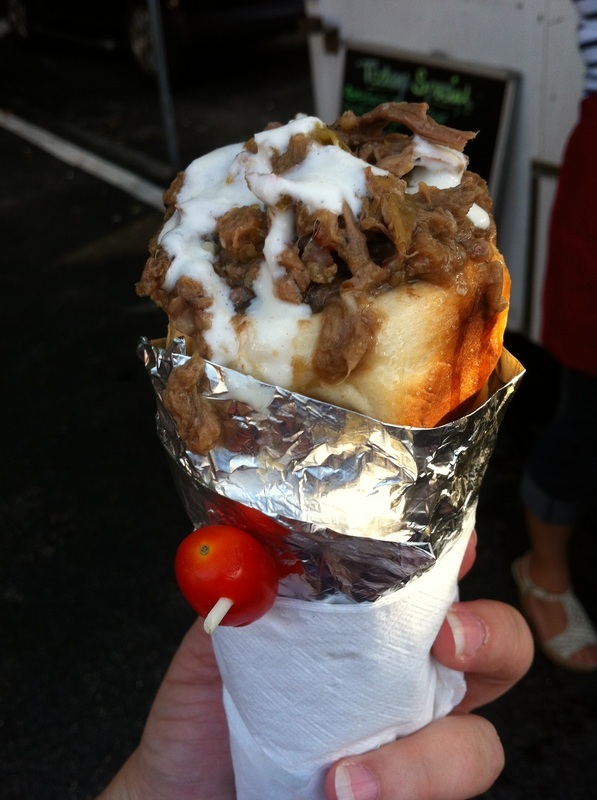 Shred-A-Bowls offers bread cones called the "The Cyclone" & bread buckets called the "The Bucket" stuffed with shredded garlic Italian beef, mojo Spanish pork, Cajun beer can chicken, braised beef short ribs, or chili. Their Cyclones & Buckets are made out of their secret bread dough recipe, hand rolled around custom molds. Each are drizzled with their signature sauce, handmade creamy coleslaw or spicy salsa. My favorite is the Italian beef in The Cyclone. It was super convenient and seasoned amazingly! I was able to walk around all while enjoying this meaty marvel! Soup to Nuts offers amazing grilled cheese sandwiches stuffed with anything from pulled pork and mac n cheese to blueberries and brie! Their buffalo chicken grilled cheese is one of the best sandwiches I've ever eaten, and I've had some pretty awesome sandwiches in my day. 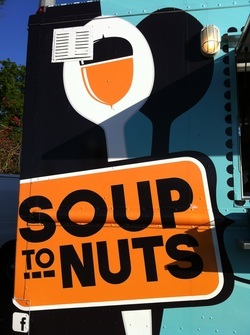 They also serve some pretty yummy soups too! Definitely a stand-out in the Orlando food truck scene! 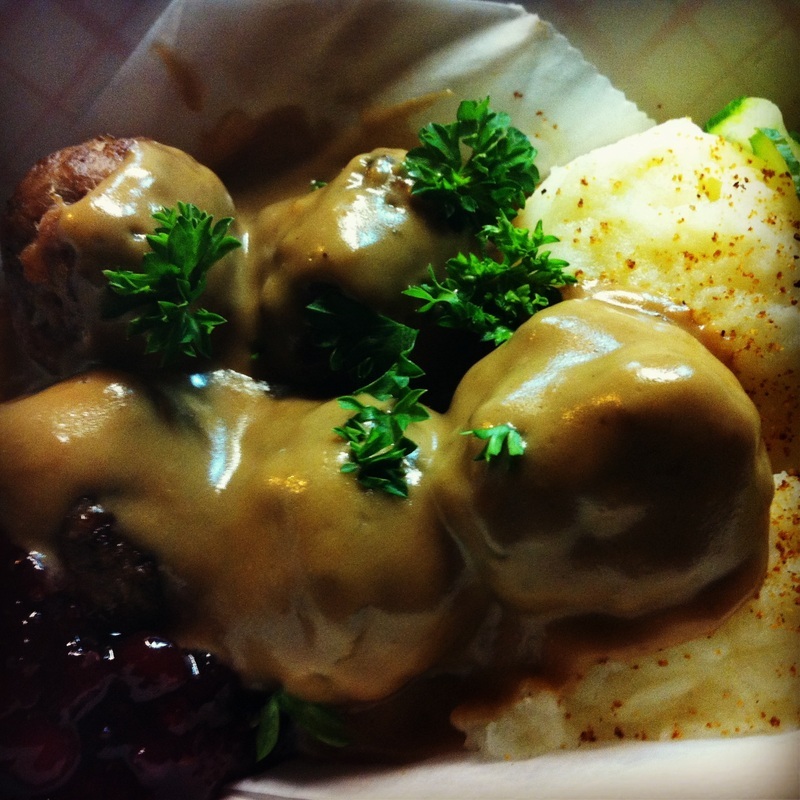 SwedeDISH is Orlando's only Swedish food truck serving traditional Swedish fare. They, of course, offer homemade Swedish meatballs and homemade mashed potatoes with a cream sauce and lingonberry jam. Another popular item is the Viking Dog - a Swedish thin bread wrap stuffed with an all-beef hotdog, Swedish spices and homemade mashed potatoes. The Potato Cupcake is one of my faves consisting of shredded potatoes, onions and white sharp cheddar cheese. Explore and let your taste buds soar! 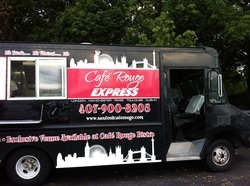 Visit them at www.swededishfoodtruck.com for their current menus and locations. Tastebuds' specialty is American food with a Latin flare. 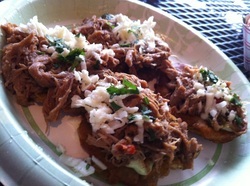 Their ropa vieja tostones are outstanding - flavorful and delightfully crisp. Their chicken empanada is out of this world fantastic and their Venezuelan arepas are perfect! Everything from this truck is terrific! Visit them at www.tastebuds-catering.com for their current menus and locations. The Treehouse Truck is famous for their Luther Burger – A classic bacon cheeseburger in between two Krispy Kreme glazed doughnuts! Ummm…yes please!! Another one of my favorites is their Mamma’s PBJ. A deep fried peanut butter, jelly, banana and Nutella sandwich! Oh, and you can’t forget their Buffalo Chicken Cheesesteak! Covered in onions and Treehouse’s own buffalo sauce and blue cheese all served on an amoroso roll. 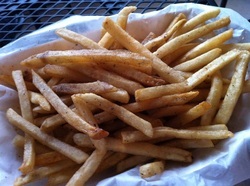 Get a heaping pile of their crispy fries and you are set! They usually offer some scrumptious deep fried Oreo’s also. 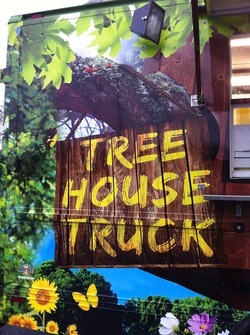 Visit them at www.treehousetruck.com for their current menus and locations. 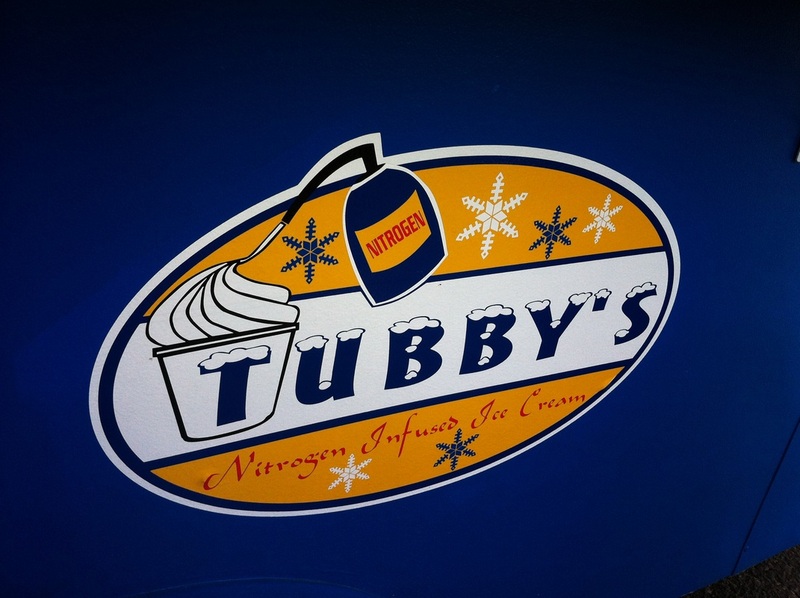 Tubby's uses liquid nitrogen to create some of the creamiest ice cream in Orlando! First you pick your size and ingredients (my favorites are chocolate chip cookies and peanut butter) and then they mix them with cream and lastly add in the liquid nitrogen! This ice cream will be as smooth as velvet I promise! You're gonna be hooked! Typical Mexican food truck meets not so typical Mexican cuisine here at Wako Taco. They do serve the traditional tres tacos, but then they also serve what they call a WakoChanga, which is their twist on a chimichanga. 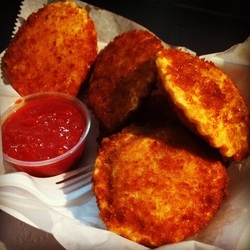 It is HUGE and fried to golden brown perfection after being filled with one of three tasty options. First being al pastor, their specialty meat prepared with a recipe that has been in their family for over half a century; which is pork marinated in a mixture of peppers, spices and fruit juices. It is then grilled and topped with pineapple. Grilled chicken or steak are also options. I’m partial to the steak WakoChanga…it’s just so good! 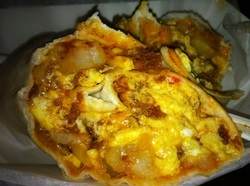 Visit them at www.wakotaco.com for their current menus and locations. They offer delectable Cuban cuisine. 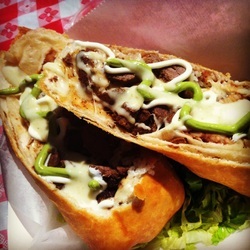 Anything from their super flavorful mojo pork and beef tacos, Cuban burgers or their G.B.D. Balls - chicken and rice breaded and then deep fried. They also serve tostones, fried yucca and perfectly chewy churros for dessert!! 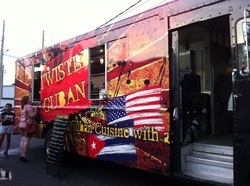 Visit them at www.twistedcuban.com for their current menus and locations. 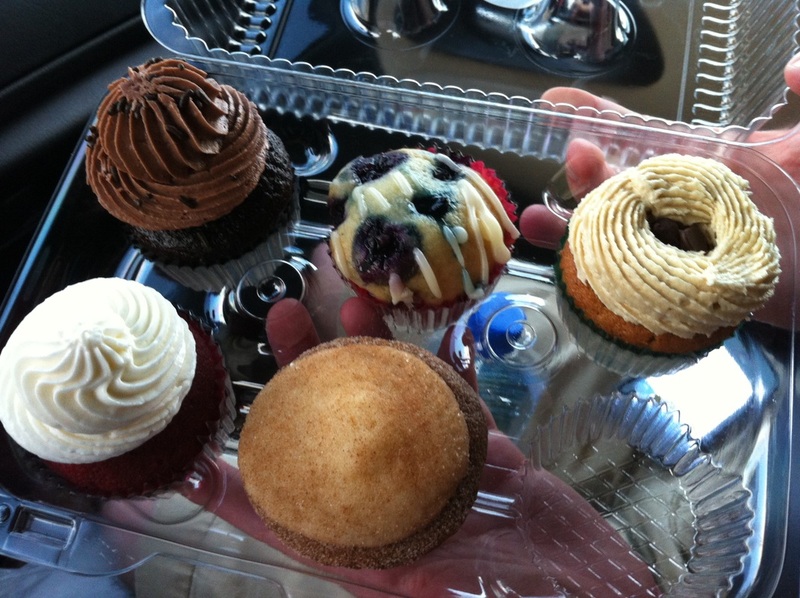 They serve up some of the yummiest cupcakes in Orlando! My new favorite is their Ballad of El Churro - it is stuffed with creamy caramel! Who would not love this?! Just seeing this truck makes me happy!! They are always coming up with new and creative ways to outdo themselves! They even have a frequent visitor stamp card now - after buying twelve cupcakes you get one for free! They bake up pure happiness! Visit them at www.theyumyumcupcaketruck.com for their current menus and locations. Be on the lookout…there’s one headed your way! You can use Twitter, Facebook or apps like Roaming Hunger to track down your favorites!